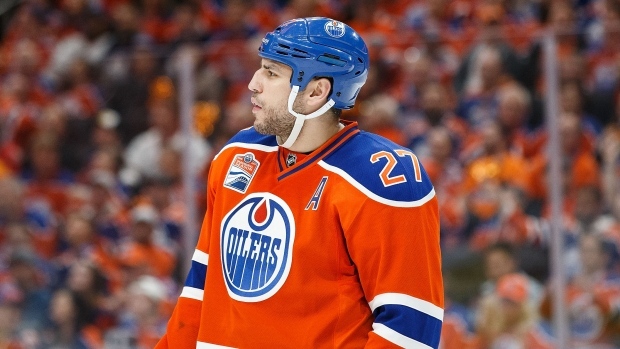 While trade rumours swirled Thursday, Milan Lucic's agent insists the winger will not be traded by the Edmonton Oilers this summer. Gerry Johannson, who represents Lucic, told the Edmonton Sun his client has not been approached about waiving his no-trade clause and will be back with the team in the fall. “Milan didn’t ask for a trade and Peter (Chiarelli) 100 per cent, has not come to us about moving Milan. If he wants to get out from under the contract, he has to talk to us,” Johannson said. “What’s going on with Milan? Absolutely nothing. Milan had a bad year; the team had a bad year. Lucic finished this season with 10 goals and 24 assists, his lowest output over a full season since the 27 points he amassed with the Boston Bruins in 2007-08. He has five seasons remaining on his contract at a $6 million cap hit and owns a full no-move clause through the 2020-21 season. Andy Strickland of Fox Sports Midwest appeared to set the rumour mill abuzz Thursday when he tweeted, "Some rumblings #Oilers have deal in place to move Lucic. We shall see." Strickland followed the tweet a short time later, however, confirming Lucic had not been asked to waive his no-move clause. Lucic said in April he needed to find his confidence next season in order to produce to his usual standards, he endured a 29-game goal drought at one point during the regular season. "Since Christmas time, I haven't been playing with a lot of confidence," Lucic said. "I think I just need to find that again because it's not like I'm old. I turn 30 in two months from now and feel like I still have a lot to give."